Whenever I visit Anthony and Carol at Ayers Creek Farm this time of year, I can count on finding the tripod and telescope set up near the house, focused on the top of a big snag in the stand of firs about 200 feet away. 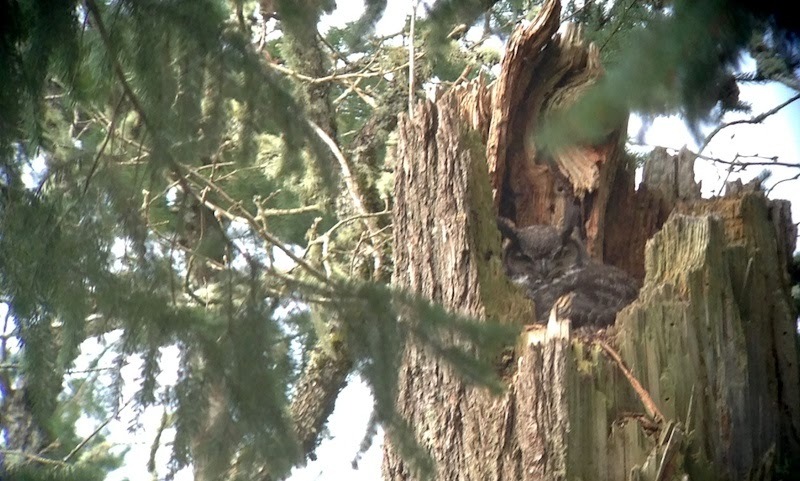 The top of that broken snag has, for the last several years, been home to a great horned owl's nest and, while I didn't see the owlets on my recent visit, Anthony assures me they've hatched by now. 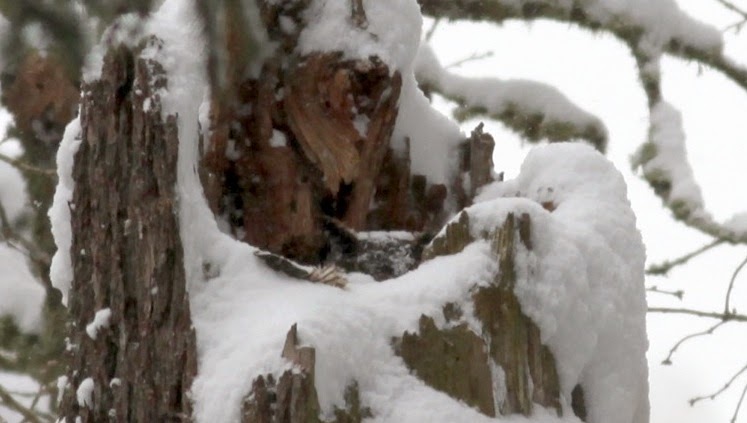 The mother owl laid her eggs about a month ago just as the snow and freezing rain storms hit the area, and Anthony took a picture of her sitting on her nest, her head covered in snow (left). Once the eggs are laid, she doesn't leave the nest for at least 40 days, made possible because her mate keeps her (and the babies when they hatch) fed until they develop enough down to keep themselves warm. Hopefully the tiny fuzzy heads of the owlets will poke out when Anthony's got his camera hooked up to the telescope and we'll get a good look at them. I'll keep you posted.